Classic Cast iron styling and a black high gloss porcelain finish make this beautiful stove the perfect heating appliance for your living space. 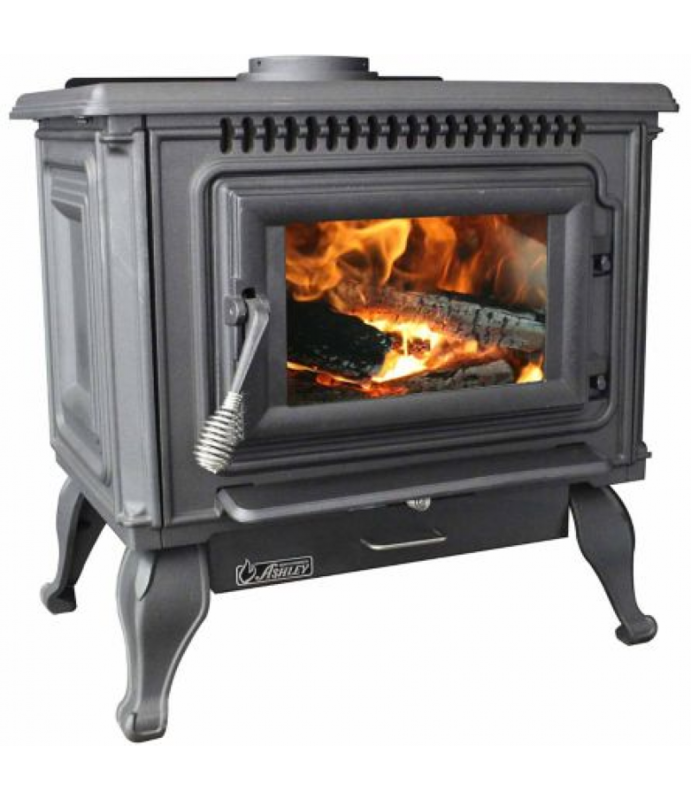 This stove delivers 31,000 Btu's of heat in safe and efficient way. 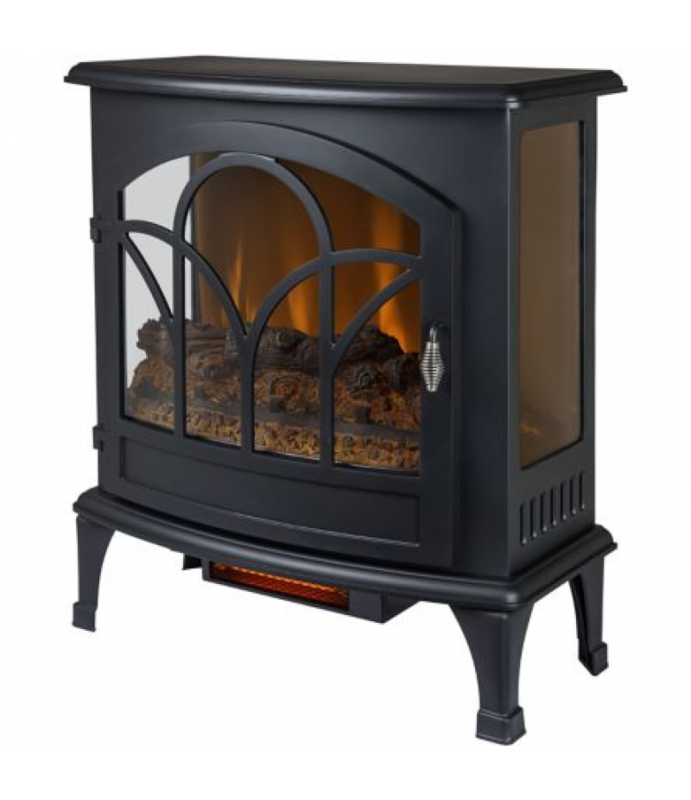 Because it does n..
Ashley Bay Front Pellet Stove with Legs, 2,200 sq. ft. 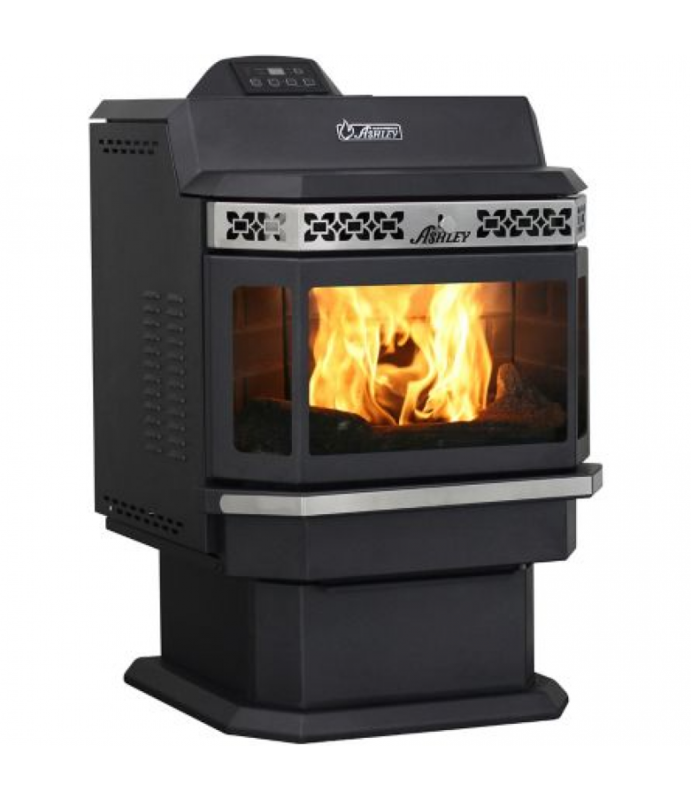 The 5660 Bay Front Pellet Stove with Legs is a fully automatic pellet stove with auto-ignition and easy-to-use electronic controls. It utilizes 2 temperature control circulation blowers to spread heat evenly. It has a durable yet .. 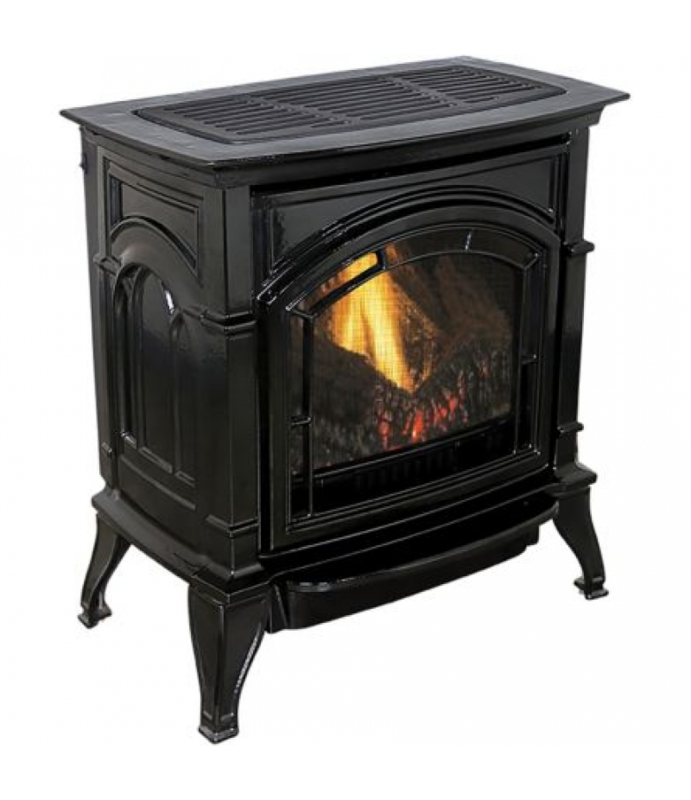 The Ashley Cast Iron Enamel Wood Stove is a beautiful unit with a Porcelain finish that is available in a variety of different colors. This unit has the beauty of a French design, but the capabilities of one of the most efficient .. 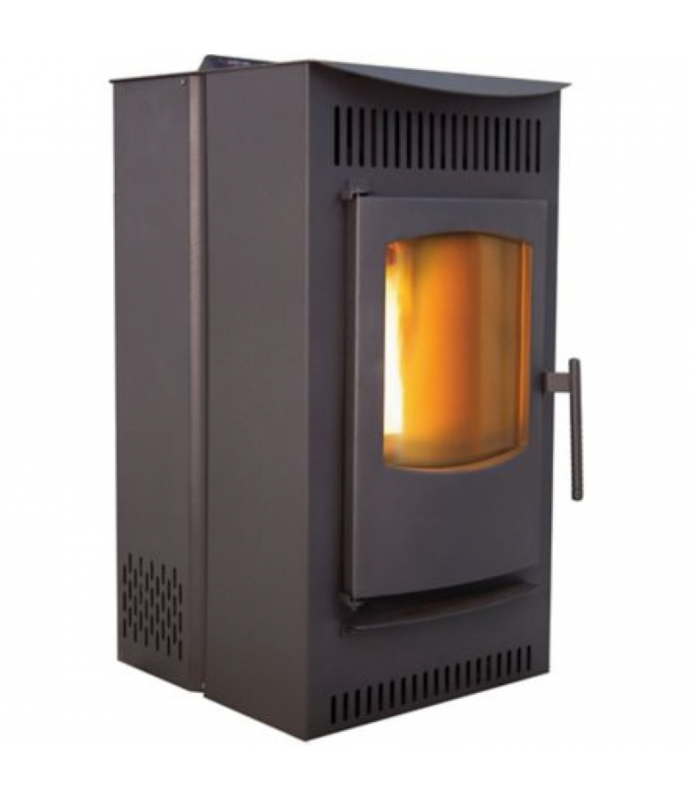 The AC2000 is a Beautiful Cast Iron stove finished in a metal fleck black flat finish. added textured details truly set this stove apart from the rest. Its beauty rivals that of the finest stoves on the market yet it also has one .. 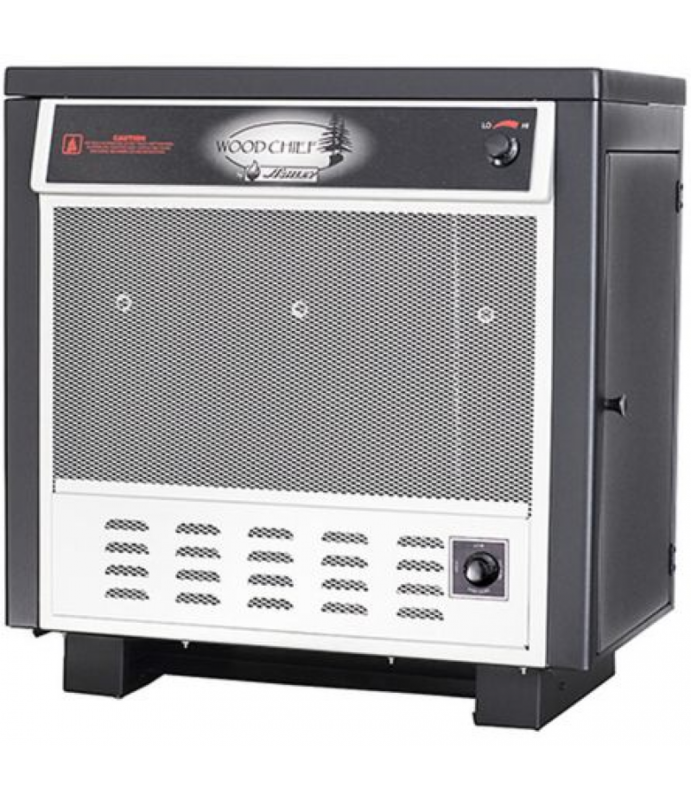 The 2016EB is a free standing, EPA Certified, wood heater that provides both an economical and attractive means of reducing heating costs by offering excellent heating by both a conventional and radiant means. 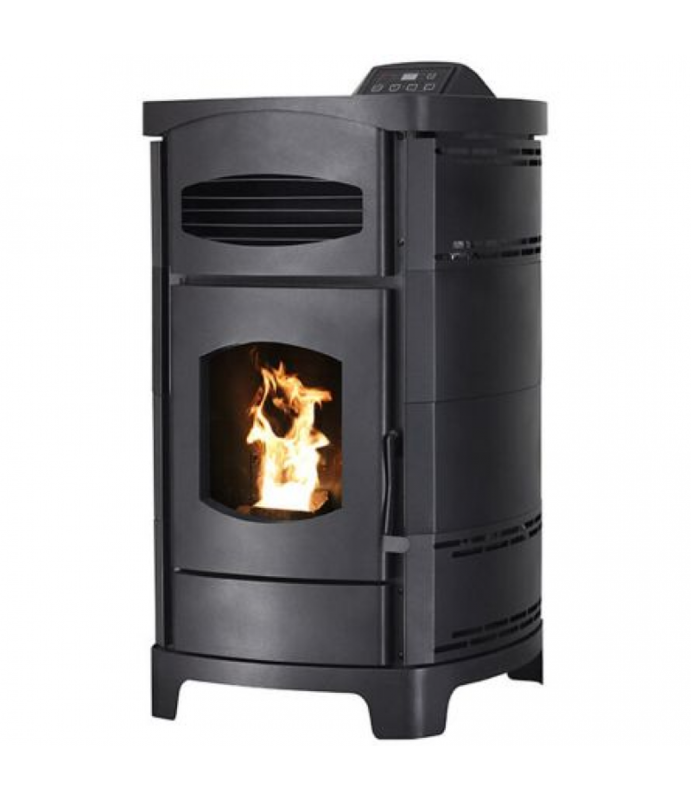 It's constructed in ..
Ashley Pellet Stove with Polished Black Curved Sides, 2,200 sq. ft.
Clean lines, gentle curves and modern technology meet with the Ashley AP5780. This slim-line pellet stove is designed to fit into tighter spaces, yet it produces the same amount of heat as a full size pellet stove. It can heat up .. The Ashley 2,200 sq. 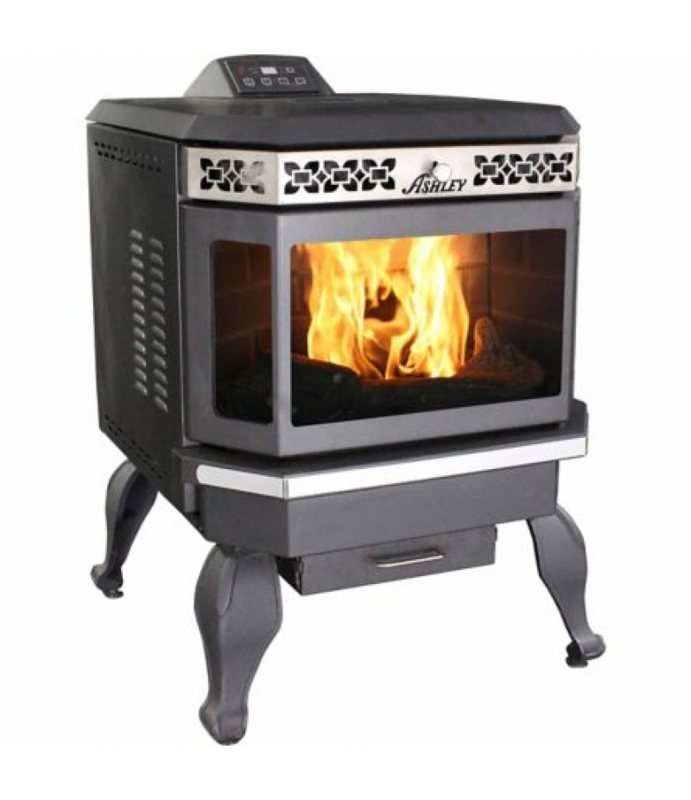 ft. Bay Front Pellet Stove with Extended Hopper is a fully automatic pellet stove with auto ignition and easy-to-use electronic controls. It is a durable yet sleek design, built for years of high performance. ..
Ashley Wood Chief Wood Circulator Stove, 1,200 sq. ft. The Ashley Wood Chief is a high performance Wood circulator that is more efficient and cleaner burning than any other circulator on the market. 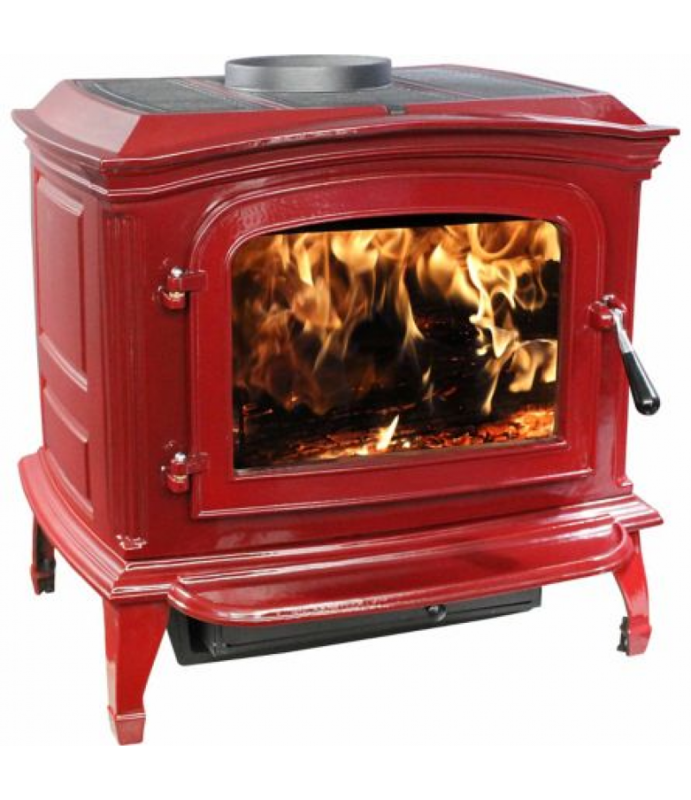 It is EPA Certified to the latest Wood Stove standards for Emissions. The Wood Chief i.. 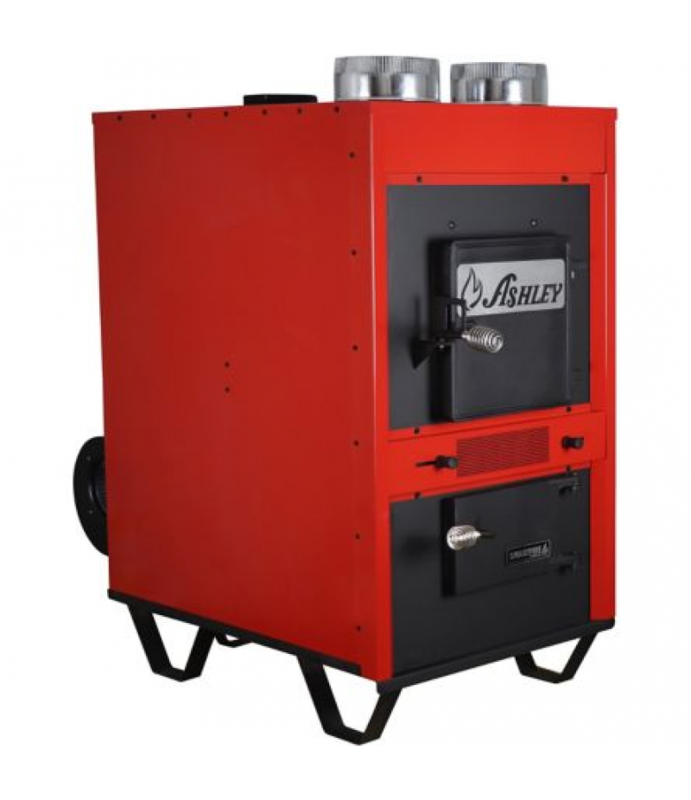 The Ashley 1660E add-on wood furnace is designed to use in conjunction with your existing HVAC ductwork and work seamlessly with your existing furnace. It is EPA Certified to be clean burning and meets all current EPA guidelines. ..
Reinvent the way you heat your home with Castle's Serenity wood pellet stove and new Smart Controller. The Smart Controller allows you to choose manual, thermostat and weekly operational modes to heat your home on your schedule. A.. The Muskoka 25 in. 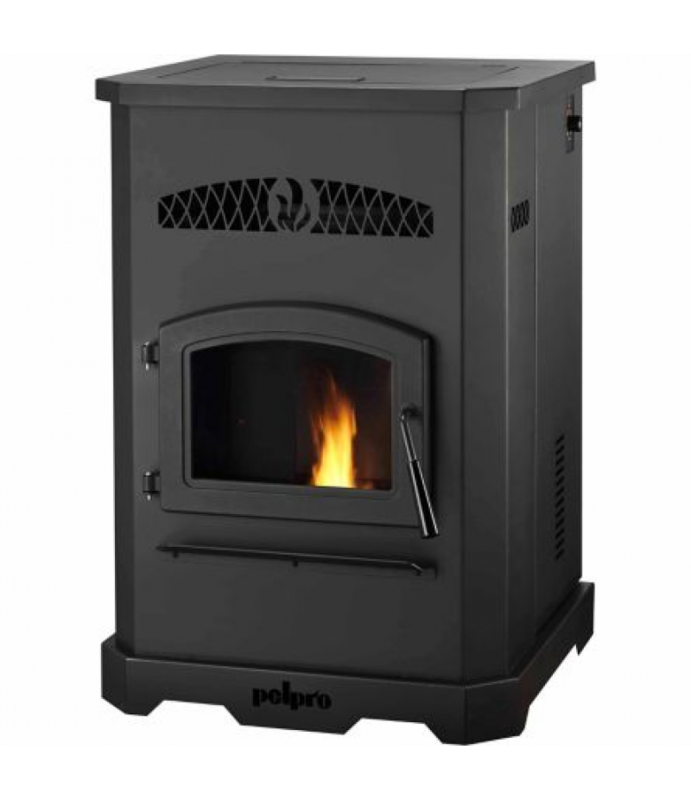 Curved Infrared Matte Black Electric Stove is ideal for homes, condominiums, lofts, apartments, and seasonal rooms.Emits 5200 BTUs which will heat up to 1000 sq ft. areaVariable thermostatic temperature adjustme..
PelPro PP130 Pellet Stove with Single Blower, 2,200 Sq Ft. This durable, high-efficiency PelPro PP130 2,200 sq. ft. Pellet Stove is built for extended performance. The 130 pounds of hopper capacity, automatic ignition and a simple dial control make it easy to stay warm. Best in class EPA ..